With the constant rise of freelance market, it can be hard for clients to find the right freelancers. To help you search, we picked the top freelance websites today and listed the pros and cons in using each of them. Australia-based website Freelancer currently has the largest freelancer network. They currently have over 20 million users and 10 million jobs posted on the website. Membership is free for a month, after that, you need to get a membership plan to enjoy more services and features. You can post your project for bidding or offer a specific person directly. You can also hold a contest. Freelancers can submit their entries, giving you a chance to evaluate their skills. Payments can be made at a fixed price or an hourly basis. You can use a credit card, PayPal or SkrillMoneybookers account. Freelancer also has a unique feature that gamifies talent searches. This allows freelancers to showcase their skills and talents, and also lets clients get a preview of how their brands are interpreted. The platform also has other features like Preferred Freelancer Programs and Employer Following. This helps both freelancers and clients to keep track of upcoming projects with ease and encourage more collaborations between them. 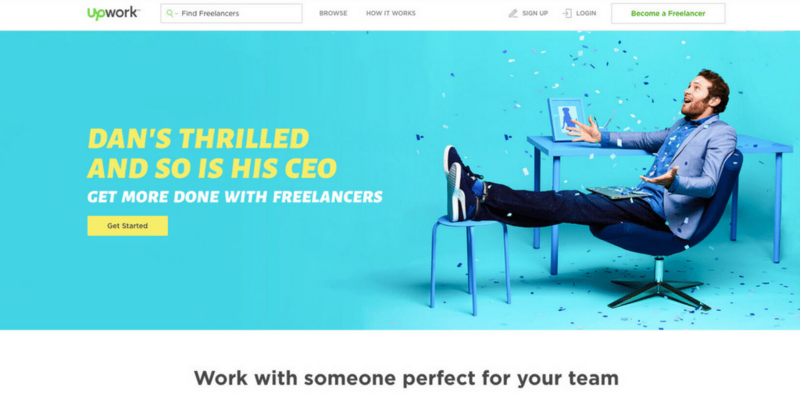 For an in-depth look at how Freelancer works, check out Time Doctor’s review here. They can refund your money if the project didn’t go well. The company is listed on the Australian Securities Exchange Market. Users often complain about fake accounts and scams. Upwork gives you access to almost twelve million skillful freelancers. The process is simple and the membership is free. After setting up your account, all you need to do is Create a job post that you need help with. You can view the applicants’ profiles, feedbacks, and their portfolios. Payments can be on a per hour or per project basis. Both options will go through Upwork’s payment system. One of the best freelance websites because of its large network. Secure and easy online payment. Some users complain that their accounts get deleted without valid reasons. If you’re looking for a freelancer who can help you with graphic design, Designhill is perfect for you. You can hold a design contest and freelancers will create the designs for you. Then you choose which you like best and award the winner. They have four design packages. The lowest amount you have to pay to launch a contest is $149. Their premium package costs $999. Launching a contest is easy. After signing up, complete your contest details, then pick from one of their packages. 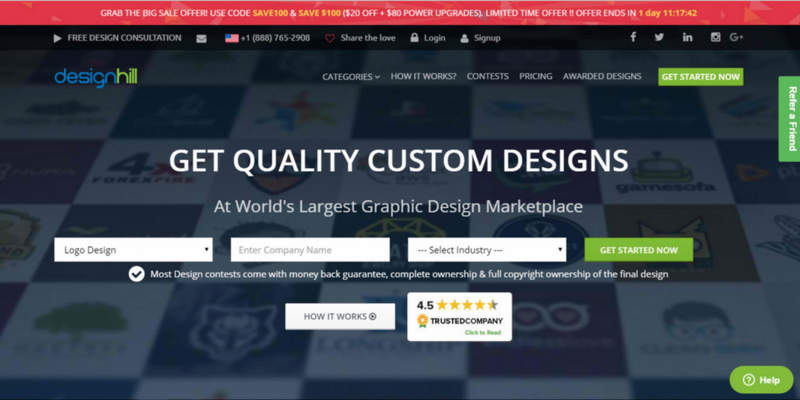 If you failed to find what you’re looking for, Designhill has a 100% money back guarantee. Another cool feature of this site is their store where you can browse and buy pre-made designs in the store. The site offers outsourcing services and one-to-one projects. Reviewing various entries can be overwhelming. Toptal offers talents in engineering and design from across the globe. 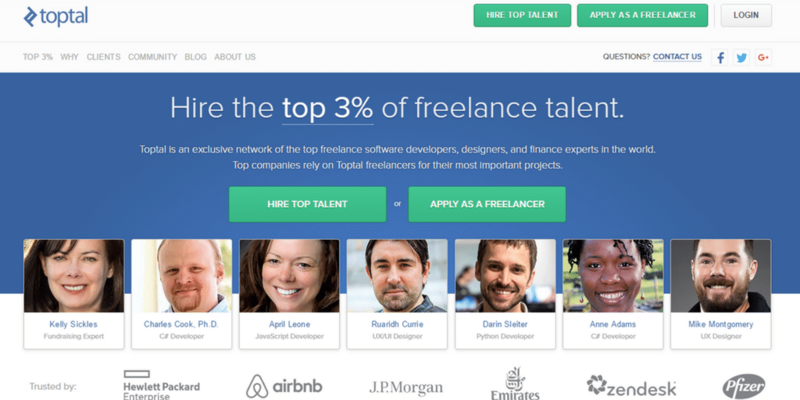 Only top 3% freelancers are verified on Toptal. Toptal screens their freelancers for language mastery, personality, and domain-specific knowledge and skills. All applicants must complete a test project to show live proficiency with a real project. Finding the right talent is easy. You just need to tell Toptal the skills you are looking for. The site will give you a report of possible matches. If they found a match, you can hire the freelancer right away. Pricing is flexible. Toptal will work with you to find a price that works for you. Typically, their range for developers and designers fall from $60-$95 per hour. They accept all major credit cards, bank wires, and PayPal. Tough screening process guarantees quality freelancers. Hubstaff Talent is a free service created by the Indiana-based company of Hubstaff. This platform offers a completely free service. 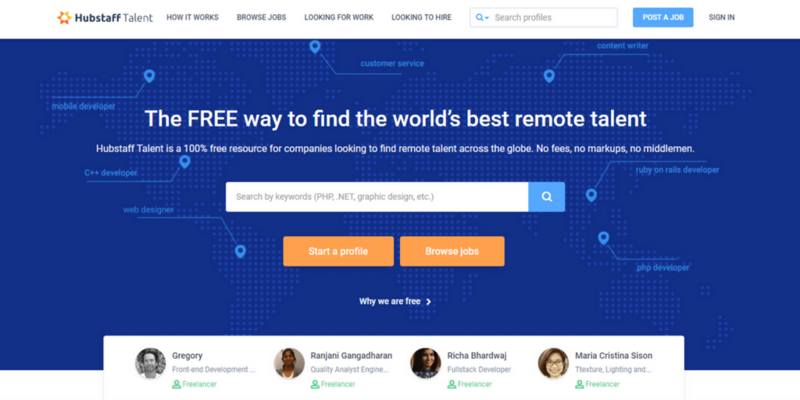 It’s easy to find freelancers on Hubstaff Talent. Employers can browse freelancers and agencies. 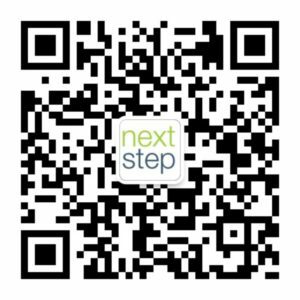 Another way is to post jobs and wait for applications to come. Their website’s layout and design are straightforward. 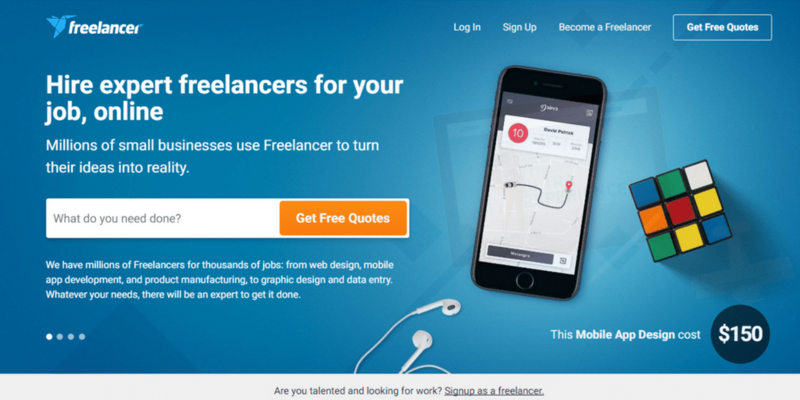 It’s easy to search for freelancers based on skill, location, and categories. As of now, they have seven categories. 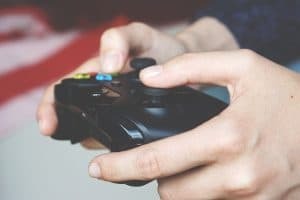 Lesser skill categories, unlike other sites. 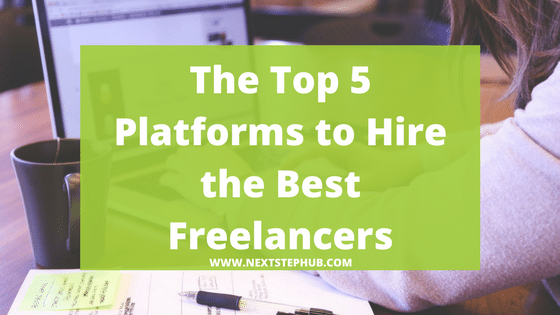 Are there any freelancing platforms that you would like to add on the list? Tell us in the comments section. How to be a digital nomad?